It's the fifth Wednesday of the month, which often means a lighter week of new comics than normal. 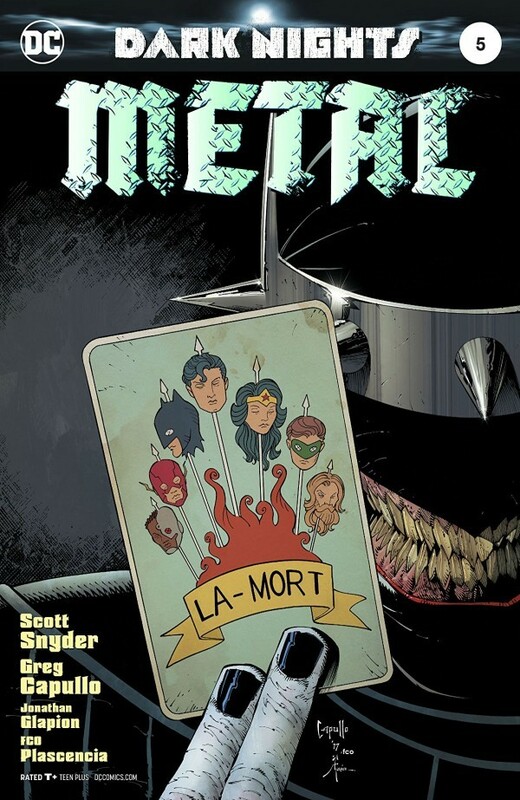 But that doesn't seem to be the case this week, as we're set to get Dark Nights: Metal #5 (of 6) from DC Comics! It's been a little bit since we saw the last issue and people have definitely been asking! Also from DC this week, The Silencer #1 from John Romita Jr. and Dan Abnett, the second series to come out of DC's New Age of Heroes! Over at Marvel, look for Avengers #678 (part 4 of "No Surrender"), Punisher: Platoon #5 (of 6), Jessica Jones #16, Moon Knight #191, Invincible Iron Man #596 and more! Click here to see a tentative list of new comics shipping next Wednesday, February 7!